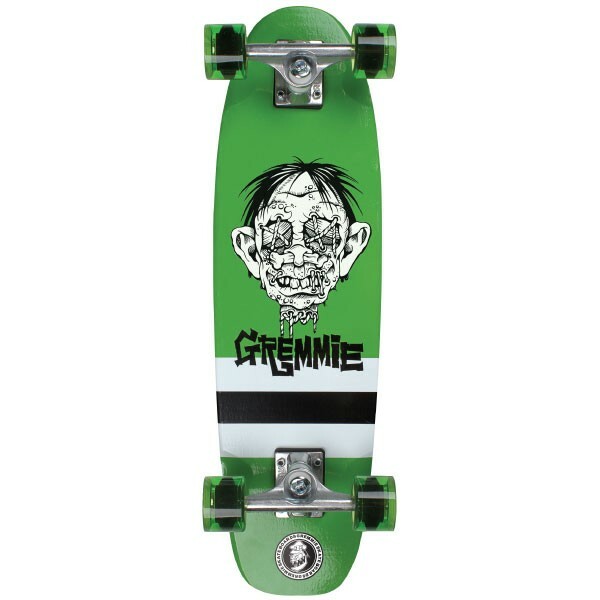 Gremmie just released three new versions of their pocket sized skateboards! Version II of the Dart, Pistola, and Challenger now feature concave and a kicktail. A bit of a departure from the original plank style but surely the board feel on these is closer to anything the under 50 crowd grew up skating. 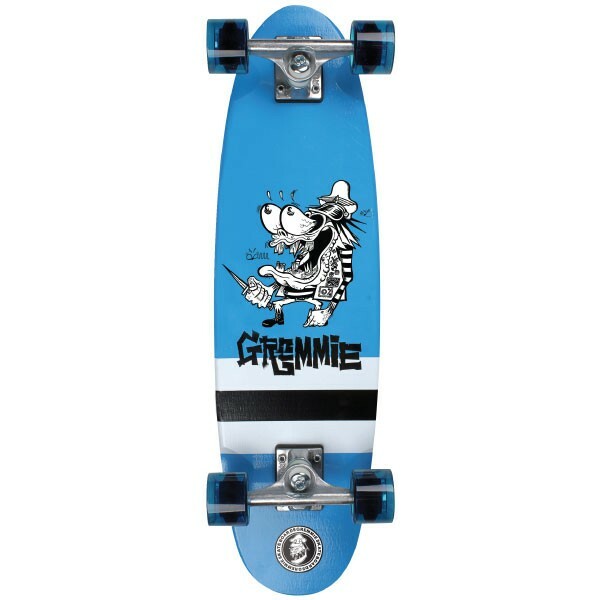 The “Big Daddy” Ed Roth inspired graphics are now on the bottom of the deck with more grip tape for skaters that wear shoes when ripping. Hanging-ten just isn’t the same with shoes and socks kids. Matching 61mm 78a clear wheels compliment each deck in their corresponding colors, set on some 5.25 Ruckus trucks. The included risers and wheel-wells should keep some jarring wheel bite at bay. Just be thankful the included wheels aren’t clay junior.